“Good Behavior” is now filming season 2 of the show in the Wilmington, North Carolina area this spring and casting directors at TW in NC are now casting locals who would like to work as paid extras, featured extras, photo doubles and stand-ins on the TV show in the upcoming weeks. “Good Behavior” is based on the Letty Dobesh books by Blake Crouch. The show is described as a thriller and focuses on a female con artist named Letty Raines. Letty has great intensions and believes she wants to lead a “normal” life, however, Letty is not very good at walking the straight and narrow. According to the series description, Letty is fresh out of prison and looking to reunite with her son who is now 10 years old. She remains in contact with her parole officer, whose motives for helping her are questionable. But after she overhears a hit man being hired to kill a man’s wife, Letty sets out to derail the job and finds herself on a collision course with the killer, entangling herself in a dangerous and seductive relationship. 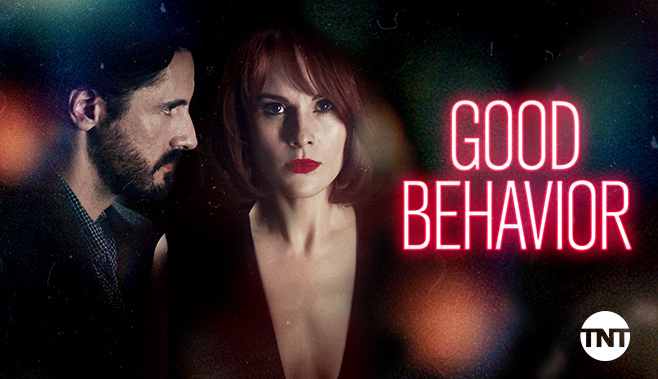 Season 1 of “Good Behavior” premiered last fall on November 15th and season 2 is now in production and will most likely premiere this coming fall 2017 on TNT. All extras must be willing and able to work as local to Wilmington. Extras casting for Good Behavior Season 2 in WILMINGTON, NC. Good Behavior- TUE, JUNE 6th, filming in WALLACE, NC. Males and females, all ethnicities, ages 5 and up. If you are submitting as a family, please include everyone in ONE e-mail. Would love to get some 4X4 SUVs or Trucks since we are set in the mountains at Christmas) however it is not mandatory!! Would also be great to get cars with Travelers/racks on top. ALSO, BIG PLUS if you can provide wreathes, antlers and red nose, lights, etc for your car!! Come on lets get festive!! PLEASE NO white, red, yellow or electric blue cars! Pay is a guaranteed $64 for up to 8hrs and time and a half for every hour that exceeds the 8th. Those submitting must be able to work AS LOCAL TO WALLACE, NC. Looking to be a extra. I’m 5’8, blond hair, blue eyes, athletic build, 163 pounds.